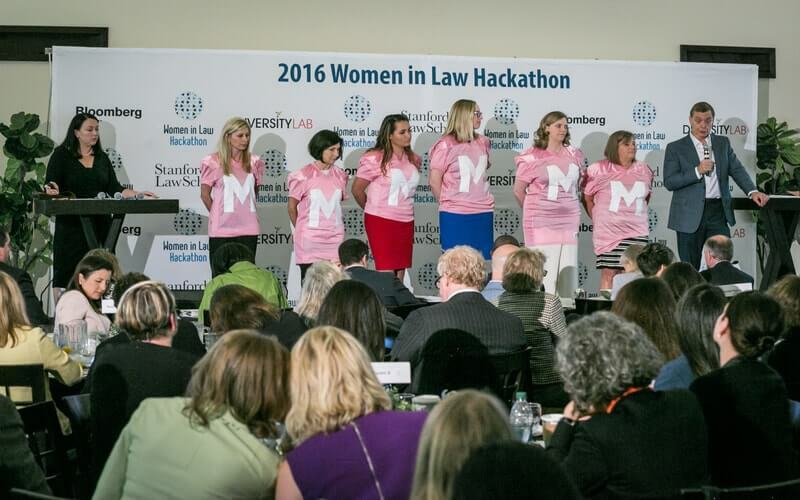 A presentation at the 2016 Women in Law Hackathon. Photo courtesy of Diversity Lab. Summary: Law firms are taking a page from the NFL rule book to help fix their diversity problem. The lack of diversity in law firms has been studied for quite some time. The problem had gotten so bad that last year the New York Bar Association had called for initiatives to address the situation, and they released a scathing report that showed women make up 19.7 percent of the survey-takers’ partners and that minority leadership was at 7.1 percent in 2015. The pilot project is sponsored by Diversity Lab and named after Arabella Mansfield, the first woman admitted to the legal practice in the United States. Caren Ulrich Stacy, CEO of Diversity Lab, lauded that the Mansfield Rule will be put into action. According to their website, Diversity Lab “creates and experiments with innovative ways to close the gender gap and boost diversity in law firms, legal departments, and banks by leveraging data, behavioral science, and design thinking.” The idea for the Mansfield Rule emerged from the 2016 Women in Law Hackathon hosted by Diversity Lab in collaboration with Bloomberg Law and Stanford Law School. 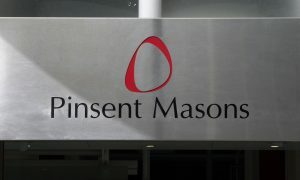 The thirty firms that have agreed to participate in the Mansfield Rule include Dentons and Arnold & Porter Kaye Scholer. These firms have agreed to consider women and attorneys of color when hiring for leadership roles, equity partner promotions and filling lateral positions. If firms prove that at least 30% of their hiring candidate pools are women or minorities, then they will receive a Mansfield certification and be able to attend a client forum with over 45 legal departments from corporate heavy hitters such as 3M, American Express, Walmart, and CBS. Ivan Fong, Senior Vice President of Legal Affairs & General Counsel at 3M said that diversity was important to the company and that 3M was committed to recognizing firms that participated in the Mansfield Rule. “We believe diversity and inclusion help make us a more innovative and competitive company, and the same is true for our suppliers and outside counsel. The Mansfield Rule Client Forum is an innovative way for us to recognize law firms that are trying something new to further boost diversity in their top ranks,” Fong said. Roger Meltzer, DLA Piper Global Co-Chairman and Co-Chairman of the Americas, said that DLA Piper is participating because the firm is committed to diversity. In 2012, Blank Rome began an initiative to get more women into leadership roles at the firm, and as of today, its 16 practices are now more diverse, with almost half of the leadership roles filled by women. What do you think of the Mansfield Rule? Let us know in the comments below.